If you’re looking at the vast assortment of Brunswick County real estate that we have available to show you, it goes without saying that there’s a move in your future. The preparations you take in advance for that move will determine how stressful it will or won’t be. 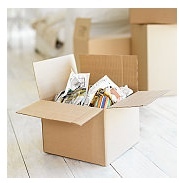 We have the following helpful tips that will aid you with your move and you’ll be thanking us when moving day arrives. But remember, if you want a first hand look at any of the Brunswick County real estate you find on our site, we’d love to take you out to visit any of the properties at your convenience. Once you know you’ll be moving that’s the time to begin sorting through your belongings and purge whatever you no long use. Tip: A good rule of thumb is if you haven’t used it in the past two years and especially if it’s easily replaceable, toss it. Don’t wait until closer to the time of the move because it always takes longer than you’d think. It’s amazing how much stuff we can accumulate just one year to the next! Many people find it easier to start on the main level of the house and proceed from there. Tip: Get yourself a few big boxes to aid in sorting. Sort through all closets, bookcases, cabinets and drawers – everywhere! Decide what to keep, what to donate to charity, and what to throw out or recycle on the Free section of Freecycle, Craigs List or the local newspaper. You’ll be going through the basement and the garage as well. Now you may be seeing why it takes so long! 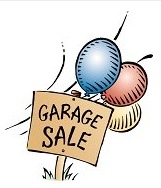 If you have the time and the initiative you might want to hold a garage sale to get rid of a whole lot in one weekend and make some money in the process. Tip: Put a price sticker on everything but keep your prices low and reasonable. Remember, your objective is to get rid of things and not to get rich. People attend garage sales to find good deals. The less you have to pack up and move with you the less unpacking you’ll have to do once you arrive at your new home. That makes for an easier move overall. Happy packing!